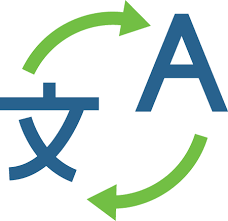 The goal of the project was to create ad text translator from Japanese into Russian. For this purpose, we chose statistical translation model based on a comparison of a large body of parallel texts. They were used as a client texts received from the Q&A service (questions in Russian and translated into Japanese). We also used several statistical translators such as Travatar and Moses. Subsequently was used Travatar, since it showed the greater quality translation, based on objective metrics. One of the key challenges that we have faced is the low quality of the translation, and lack of alignment at the level of sentences. To align it we developed statistical algorithm, that worked searching the closest statements on the basis of the dictionary of n-grams.